B.Y.O.B. Event - Bring Your Own Bag! For new and current consigners: B.Y.O.B! "Bring your own bag" for consignment or buy out - and receive a Designer Consigner gift certificate on the spot! The event kicks off with our first ever "Handbag Happy Hour" on Thursday evening from 4-6pm. Enjoy food, martinis, wine, and shopping while we price your designer handbag! A Designer Consigner gift certificate makes the perfect holiday gift for friends or family (or as a gift to yourself!). You will receive a gift certificate for consigning your handbag whether or not it sells! BUT, it must stay in the store for the entire 60 day consignment period. This special offer is for the weekend of November 2nd-5th only - so don't miss out! 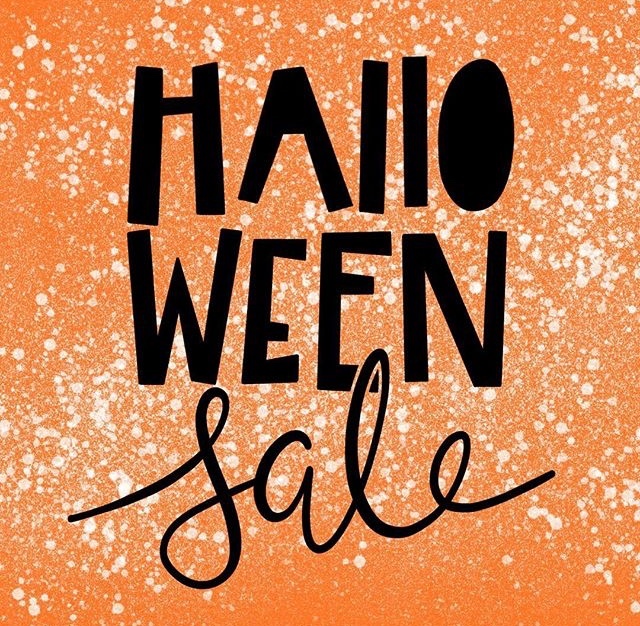 Designer Consigner's "Spooktacular" Halloween Sale - Savings so good it's scary! Enjoy 20% off all weekend long! Sale starts Friday October 27th thru Tuesday October 31st! No Tricks...Just Treat yourself to bargains and candy for 5 full days of frightening fun!!! Fall Preview Sale - This Weekend! We are falling in love with our new inventory and have to share it with you! *No other groupons, coupons, or discounts may be used in addition to this sale, some exclusions apply. Friday and Saturday get 25% off the entire store! Pick up some amazing designer deals for the back-to-school season! Plus - get 75% off all summer clearance items! The store will be closed Sunday & Monday. But starting after Labor Day Weekend - Sunday hours are back 12-4pm! The Semi-Annual Bag Sale - August 12th! SATURDAY, AUGUST 12TH - 10AM! IT'S THAT TIME OF THE YEAR AGAIN! TIME FOR OUR SEMI-ANNUAL BAG SALE! THIS IS THE BEST END OF SEASON SALE AROUND! FILL ONE OF OUR LARGE SHOPPING BAGS FOR ONLY $25. WE OPEN AT 10AM, BUT BE SURE TO GET THERE EARLY, THERE'S USUALLY A LINE. ALL SALE ITEMS WILL BE CLEARLY MARKED "BAG SALE". THESE ARE THE BEST DEALS OF THE YEAR SO DON'T MISS OUT!! All gift certificates 10% off and all accessories (including jewelry, scarves, belts, shoes and purses) 20% off - Plus free gift wrapping! Join us this Friday May 5th for a Cinco de Mayo celebration sale with storewide savings up to 55% off!!! Plus delicious margaritas, nacho chips and dips! *We're offering 15% off new arrivals and added 5% to our already low tag markdowns, plus hundreds of new markdowns taken this week and red linesto make room for new fabulous summer arrivals! PLUS! Buy a $5 raffle ticket for your chance to win a Louis Vuitton Babylone GM handbag! One entry per customer - winners do not have to be present to win. Drawing will be held at close of business on Friday May 5. For new and current consigners: Bring in your designer handbags for consignment or buy out - and bags priced at $100 or more will receive a Designer Consigner gift certificate for 10% of the selling price on the spot! You will receive a gift certificate for consigning your handbag whether or not it sells! BUT, it must stay in the store for the entire 60 day consignment period. This special offer is for two weekends in April ONLY - so don't miss out! The bus trip is scheduled for Monday, April 17th! Join Designer Consigner as we travel to NYC to visit some of the best consignment shops on the Upper East Side. A coach bus will leave from the Hockessin location at 7am sharp! We return around 8pm (depending on traffic), and we do stop for lunch. The price is $45 per person. SCORE Big This Sunday at Designer Consigner's Annual Super Bowl Sale! QUARTER 1: We'll KICK OFF this fabulous sale with 35% off your entire purchase from 12-1pm! QUARTER 2: Show your TEAM SPIRIT with 30% of from 1-2pm! QUARTER 3: Get your QUARTERBACK with 25% off from 2-3pm! QUARTER 4: Make the FINAL PLAY with 20% off from 3-4pm! Plus- wear any NFL gear and receive a $5 field goal pass good towards any future purchase! While you shop enjoy beer, wine, nachos, other snacks, and door prizes all day long! The sale is on in Hockessin at both the WOMEN'S and MEN's store! Plus - enjoy the Pre-Game show on the big screen in the Men's Store. On top of all these amazing sales - when you spend $50 you will be entered into a drawing to win a $500 Designer Consigner shopping spree! Friday-Sunday! Enjoy 30% off your entire purchase! The store is overflowing with amazing designer deals - so come pick out what you really wanted for Christmas! *January 6th-8th. No other groupons, coupons, or discounts may be used in addition to this sale. Sale does not include New Arrivals. get an additional 5% off! November 25th only. Both locations. No other groupons, coupons, comeback bucks, or promotions may be used in addition to this sale. Some Exclusions Apply. Friday - Sunday! Enjoy fabulous fall deals all weekend long! Friday: 25% off the entire store! Shop early to save big! Sunday: 20% off the entire store - plus enjoy craft beer and bavarian pretzels while you shop! *October 28th-30th, Hockessin Store only. No other groupons, coupons, or discounts may be used in addition to this sale. Some exclusions apply.